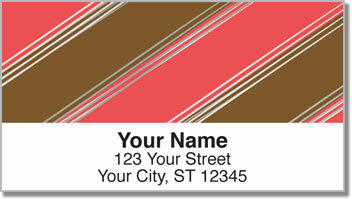 Make your mail look delectable with stylish return address labels featuring chocolate stripes on four flavorful backgrounds. It's a finishing touch with fashion sense that could have come from the Candy-Man himself! They'll remind you of those delicious treats that are almost as enjoyable to look at as they are to gobble up! Not only are these mailing labels sweet...they're also sticky. Of course, we're talking about the convenient, self-adhesive backing, which makes the chore of filling out envelopes as easy as pie. Just peel and place them on all your letters and packages! 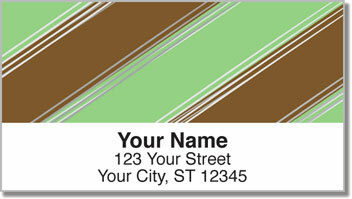 Get your very own Candy Stripe Address Labels today! 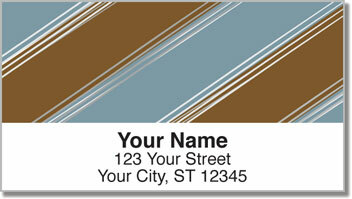 Complete you order with a set of matching personal checks.